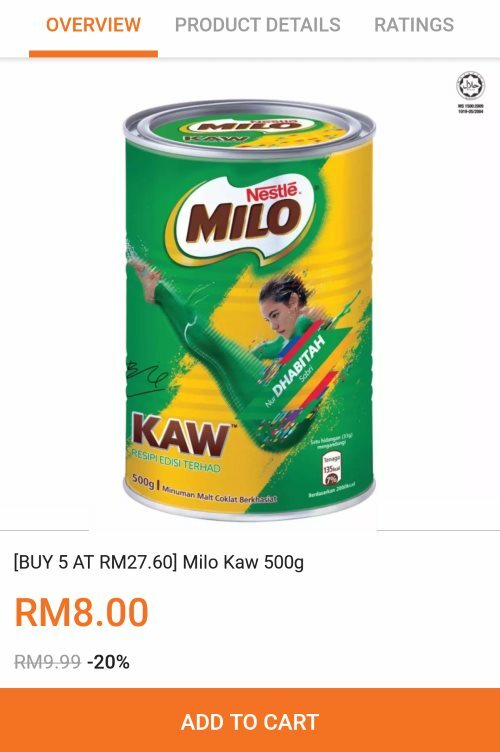 MILO Kaw 500g at up to 45% OFF Promotion Deal! (usual price: RM9.99, which means at 20% OFF right now). (which means LAZADA gives you further discount of RM12.40). So you are basically buying it at RM5.52/unit! Want to save on the RM3 delivery charge? Buy the MILO together with the PETRONAS Gift Card at RM93 (with RM100 value inside the card) and you get FREE shipping! We have got it :) ... How about you?